An itchy throat and cough means having a cough as well as an itchy throat. It can be a frustrating combination caused by a large number of factors. The unpleasant condition is frequently called a dry cough and can sometimes indicate an allergic reaction or infection. This type of cough is typically non-productive, unlike chesty coughs in which mucus is produced. In cases of bad cough no fever or other symptoms, the itchy cough may go away by itself with rest or home treatment. If, however, the itchy throat and cough is persistent with other complications, it may sometimes indicate a serious condition that must be treated with medical care. In most of the cases, an itchy throat and cough is due to the flu or cold viruses. When the immune system can’t beat the infection, the virus gets into the upper airways. Instead of causing inflammation and excessive mucus, the virus irritates the nerves that line the area, leading to itchy coughs. Pollution, cold air or a smoky atmosphere can also cause an itchy cough. Particles within the air we breathe in become trapped in the mucus lining of the throat. It leads to irritation which makes us cough. With hay fever, the presence of pollen triggers the body to release large quantities of histamine, a chemical that leads to the inflammation of respiratory tracts and itchy throat, cough. Numerous issues can lead to difficulty breathing through your nose, such as sleep apnea, nasal congestion, sinusitis and nasal polyps. When you can’t breathe through your nose, you will sleep with your mouth open to breath. Combined with artificially warmed air in the winter, breathing through mouth creates itchy throat, cough. People who have food allergies may experience cough and itchy throat. Serious allergic reactions may restrict airways or even lead to death. Be especially cautious if you are eating a new food that may seem to contain an allergen such as nuts. Sometimes smokers will get itchy throat, cough due to inflammation of their lung tissue and throat. For smokers, coughs can easily progress, leading to chronic bronchitis, emphysema or cardiopulmonary disease. If you develop a chronic cough, you should quit smoking as soon as possible and visit your doctor. Certain medications, including those that counter high blood pressure, may lead to a dry cough. It is common for people to cough while in a stressful environment. The cough reflex in this situation is triggered by the shallow breathing associated with anxiety. Honey can calm a cough more quickly than some over-the-counter medications. The reason is that honey is a demulcent and has high stickiness and viscosity that soothes and coats irritated mucus membranes. All you need to do is to have a tablespoon of honey one to three times a day. Drinking some honey water before bed may help you sleep through the night with less cough. Salt water eases the discomfort associated with sore throats and coughs. When you gargle with salt water, salt is outside the cells of the mucus membrane in a greater concentration than inside, causing water to flow out of the cells. As water leaves, swelling decreases and so does discomfort. Simply mix a teaspoon of salt in 8 ounces warm water and gargle with it for 15 seconds. 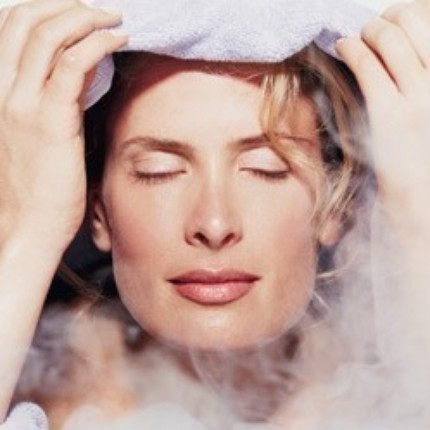 Steaming can help with itchy throat, cough as well as congestion or colds. The anti-inflammatory, antibacterial and antiviral benefits all become airborne, letting you breathe them in. Boil some water, and then add three drops of tea tree oil and one or two drops of eucalyptus oil. Lean over to breathe the steam in. Be careful not to get burnt. Thyme has been used for centuries and its anti-microbial properties can fight your cough. It relaxes your bronchi and trachea muscles while opening your airways to relieve coughing. Steep lightly bruised thyme in boiling water for 10 to 15 minutes. Drink it with honey or lemon (optional) two or three times a day. Try to avoid contact with inhaled irritants like pollutants, dust or smoke. 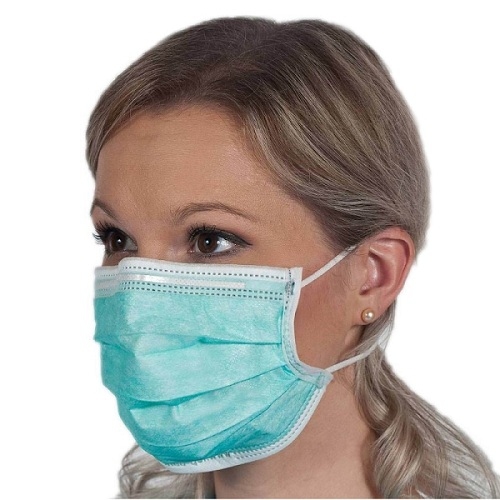 Select a face mask with the help of your doctor or a pharmacist and wear it to prevent you from further irritation. In many cases, doctors will tell you not to treat a cough caused by a cold unless it interferes with activities or sleep. When they prescribe medications, they will either use a suppressant or expectorant. Suppressants suppress your cough reflex, making them ideal for dry hacking coughs, but not mucus-producing ones. The most common option is DM (dextromethorphan) as it isn’t addictive. There are also combination cough and cold medications with decongestants. You shouldn’t take these if you have heart disease or high blood pressure. In some cases, your doctor may refer you to a specialist or conduct tests such as a phlegm examination, breathing tests, allergy tests or x-rays.